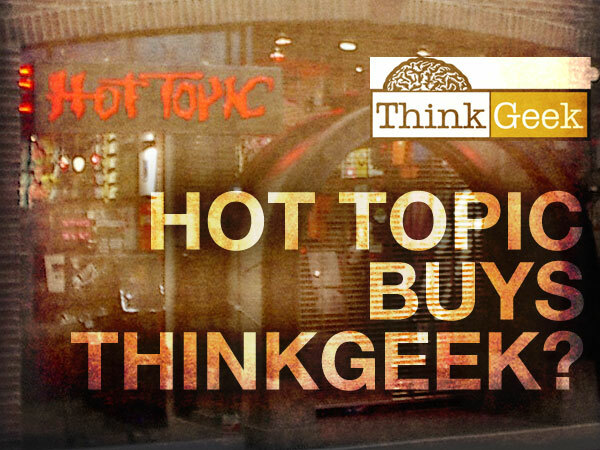 On Tuesday, May 26, mall-based retailer Hot Topic announced that it will purchase Geeknet, Inc., the parent company of the go-to online shop for geeky apparel and products–ThinkGeek. This news shouldn’t shock anyone who has stepped into a Hot Topic in recent years. The company has developed an obvious affinity for officially licensed apparel catering to the geek crowd. Star Wars, Marvel, Doctor Who, and other properties beloved in geek culture are prominently featured in Hot Topic storefronts and in the company’s online store. Because geek culture is Hot Topic’s current focus, it makes business sense for the company to acquire the major competitor in the marketplace. The acquisition, worth an estimated $122 million, is scheduled to happen on or before June 19, 2015.